It’s Passover vacation in Israel all week long – the flowers are blooming, and the roads are clogged with hundreds of thousands of vacationers out in search of a change of scenery, a breath of fresh air, a new sort of holiday activity. Half a million Israelis were in national parks today; that’s one in every 14! (Translate that to your own country’s population and you’ll figure just how bad the traffic jams were.) 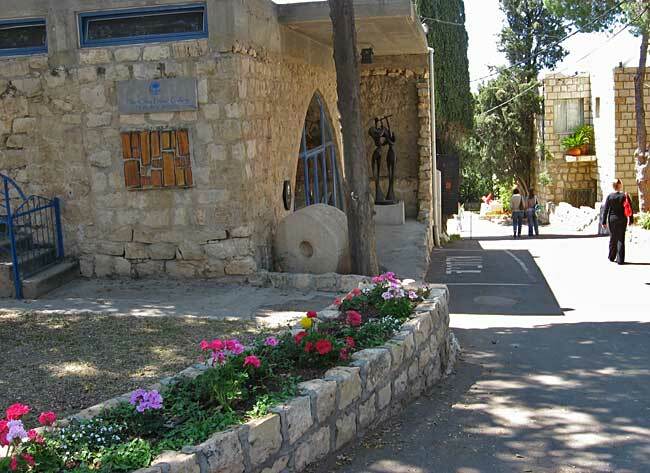 Many hundreds of choral music lovers found their way to Ein Hod, a pastoral Artists’ Colony nestled in hills of the Carmel Forest, for a choral festival produced by Mil”a, the Israeli Center for Choirs. The two-day festival showcased dozens of choirs of various styles at five sites, indoors and out, one site dedicated solely to a cappella music! 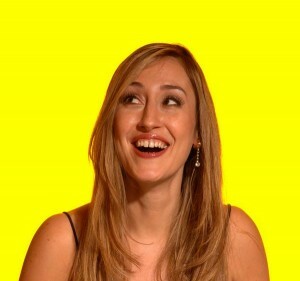 Likewise, the a cappella scene reflects worldwide trends –quickly-growing, mostly singers in their 20s and 30s, ranging from groups specializing in more traditional folk and classic pop materials to Great American Songbook to light pop covers to more contemporary, cutting-edge material. The performance style is characteristically perhaps less refined but more spirited than Northern European colleagues. Most of Israel’s leading a cappella groups appeared at Ein Hod. The Coral Vocal Ensemble has been singing for 20 years, including two albums and collaborations with many of the country’s leading artists. 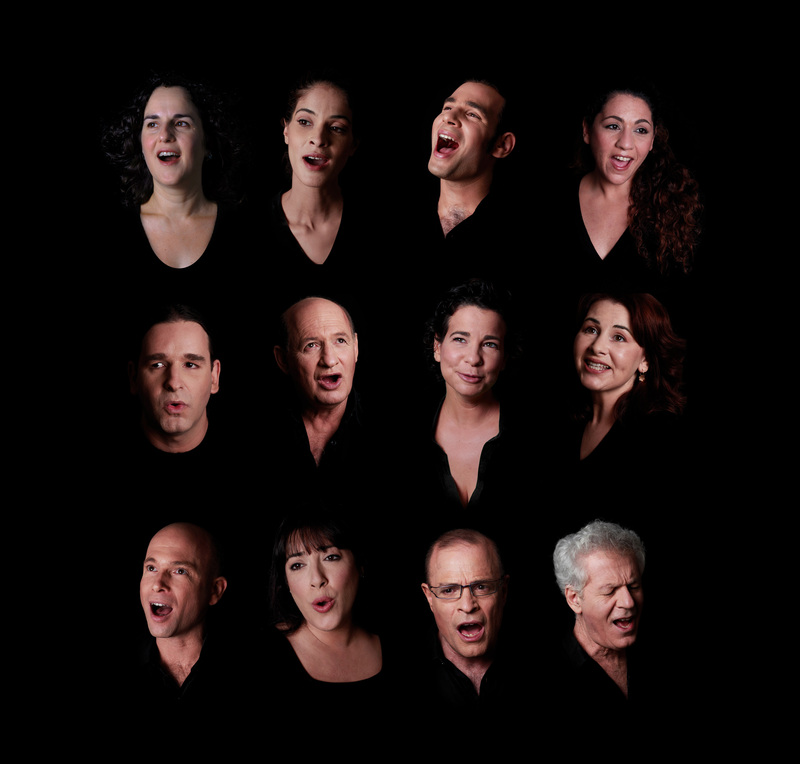 Their material is primarily original arrangements of traditional Israeli folk material: ‘Umbrella for Two’, ‘Good Folks’, ‘Touch the Dream’, ‘Puncha, Puncha’ (Ladino). 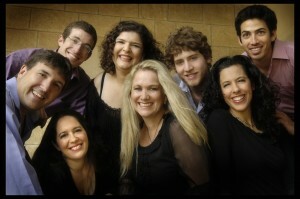 The Vocal Octet is Israel’s only fully-fledged professional a cappella group, singing since 1985. They perform in a variety of settings, including programs of The Beatles, Jewish Music, classical and a new multimedia project with animated films. Led by Ron Gang, their focus is Israeli and light jazz. Carmel A-Cappella is an female quintet that’s been performing for 20 years, a similar mix of classical, Israeli folk and pop in a sophisticated light jazz context. Here’s a new clip made from matza especially for Passover. The younger generation was represented by 2for6 in their debut performance (Stevie Wonder, 90s medley, The Real Group, and their brand new clip, Alice in Wonderland). 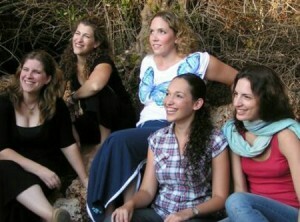 As young as they are, they’re all experienced singers, led by Erez Tal, and they promise a lot of new material soon. An exceptional treat was a knockout live looping performance by ex-Swingle Singer Kineret Erez, performing both imported and Israeli materials in a format new to these shores. Exciting young groups are sprouting up in Israel almost weekly, such as Quinta & a Half and the sometime AC/always talented Project RNL. The Swingle Singers recently gave a very successful workshop for the AC community, and plans are in the offing for a guest conductor come to work with an all-star AC choir. More and more Israelis are attending AC festivals in Europe, meeting, talking, exploring and planning. Israel may be small and out of the way, but it’s starting to make a lot of noise. And a cappella music. 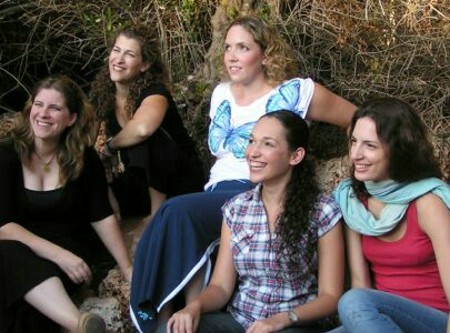 For more on Israeli music, a cappella jazz and lots of other styles, see Jeff Meshel’s Song of The Week. Thanks Jeff for the article, and for your contribution to Israeli a-cappella singing.